Healthcare.gov, the new government website designed to help Americans find and apply for health insurance plans across 36 of the 50 states (14 states have their own health insurance exchanges) hasn’t had a smooth rollout. Troubles have dogged the site from Day 1, and a recent discovery isn’t going to help matters, even if it’s just an embarrassing faux pas. British developer SpryMedia has found its own code being used on Healthcare.gov. There’s nothing intrinsically wrong with that, since the code in question is licensed under the GPL, as shown below. Comparisons of comments within the DataTables script by SpryMedia and the Healthcare.gov have turned up multiple instances of exact comments, so the government’s work is clearly based on SpryMedia’s. But why remove the code attribution? It turns out, there’s reason to think this may have been a genuine accident. The company that developed the website front-end, Development Seed, is devoted to open source work and passionate about giving back to both the larger world community and the programming world in particular. Companies devoted to promoting open data and universal access do not, as a rule, run about ripping off other open source contributors. Until this week, the entire front-end of the government website was available for download on GitHub, and while it’s not clear why that repository has vanished, a great many eyeballs have been pointed at it for several weeks. 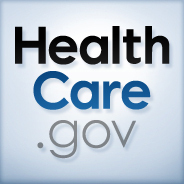 The general consensus is that Healthcare.gov’s various problems and glitches have been driven by issues with the backend of the website, which was developed by other contractors, like Oracle. Sprymedia is less-than thrilled about the discovery and has yet to receive a response, but it’s not clear who has even been manning the phones during the shutdown. Hopefully with the government reactivating, this kind of issue gets fixed immediately. It might seem a small thing, given the range of other problems, but the fact that it is a small issue means it’s also quickly and easily fixed. Proper acknowledgment of the GPL2 has proven to have teeth in court before, but this should be addressed long before that point.